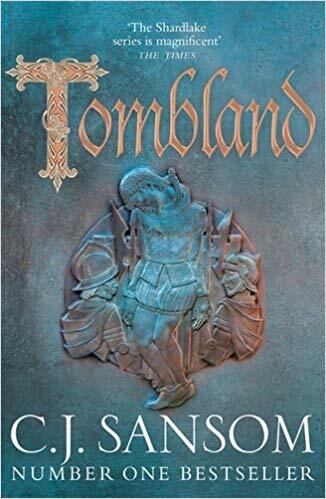 It’s been a while since I did a classic crime post but having just discovered a new author I’m now on the hunt for more of this writer’s books. Before Ann Cleeves and Paul Johnston started using colours in the title of their novels, Frances Crane was writing her series of 26 books featuring detective Pat Abbott and his wife Jean. A quick search through my trusted HRF Keating* reference book reveals that Crane was a short story writer for magazines such as the New Yorker and Harpers Bazaar before turning to crime fiction. The fashion magazine background will come as no surprise to reader’s of her books. They are a mine of information about clothes, fashion and interior design in forties and fifties America. But the books are also beautifully plotted with a traditional reveal of the murderer towards the end. The first book I read was The Golden Box, first published in 1942. Jean Holly, the owner of a art shop, visits her hometown of Elm Hill, Illinois. When the tyrannical owner of Fabian House dies, the town is awash with gossip, not least because of the unusual will she leaves behind. Jean’s friend Patrick Abbott is interested enough to descend on the town and investigate the death. I have to confess that I had no idea where Elm Hill in Illinois is (I suspect it is fictional) but that hardly matters as this is presented as traditional small-town America. Where the local church is governed by a rich autocrat and all of Jean’s childhood friends have married within their small circle of acquaintances. The best aspect of the book is the relationship between Patrick and Jean, still in its early stages which reminded me a little of Peter Wimsey/Harriet Vane. The book gives a clear-eyed view of marriage at that time, many of them unions of convenience: in order to have children, to get away from the constrictions of family life or simply because it was expected of them. The narration of Jean seems to be coming straight from the author – will getting involved in a relationship bring with it restrictions? By Thirteen White Tulips, however, Pat and Jean are married and have children so I have no idea of the twists and turns that have taken place to reach this state. The children have been despatched on holiday so we once more see the mystery through the eyes of Jean who plays an active role in the investigation. Philanderer Jack Ivers has been found dead in bed, by the woman who went there to murder him. When she entered the house she noticed thirteen red tulips which had somehow changed into thirteen white flowers when she left. This is the better of the two books, very well plotted with an underlying sense of menace. Jean’s dachshund is one of the stars of this book, so much so that there is an attempt to kill him by the murderer. Once more we get exquisite descriptions of Jean’s outfits, this time in 1953, with the influence of Dior’s ‘new look’. The copies that I read were from the classic green penguins that I collect (see right). The covers are very dull compared to some of the others I found on the internet, one of which which I’ve used (within copyright) to illustrate this post. I’m inclined to try and get hold of a couple of the more lurid ones although I’m not sure they’re a faithful reflection of the style of narrative. *My favourite reference book is HRF Keating’s Whodunit? published in 1982. It’s hopelessly out of date but a mine of information in relation to lesser known authors. Sarah – First, thanks for the mention of the Keating book. It may be out of date but it’s one I’ve been wanting for a while. I must get a copy. And as for Frances Crane, I’d like to look out for her books. As you say, she’s not as well-known as other authors of the time, and it always interests me how some authors get quite a lot of recognition and others, just as deserving, don’t. I’m glad you brought up her work. Thanks Margot. My mum bought be the Keating book when I was a teenager and now she’s no longer alive it has special memories. And it goes to show I’ve liked crime fiction for a *very* long time. Thank you for these great reviews. I am glad you covered two books from different points in the series to show the differences. I am even more interested now. I am definitely going to get some copies with the more colorful vintage paperback covers, although sometimes those are so fragile or have such tiny print, they are hard to read. 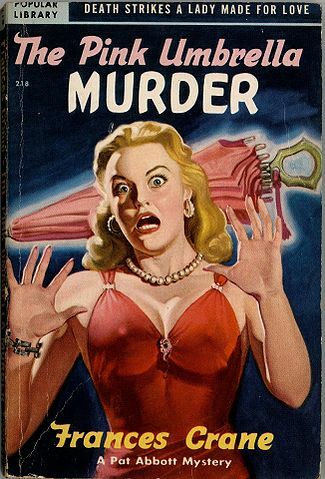 I collect (mostly paperback) vintage mysteries with skull or skeletons on the covers or any paperback copies for Rex Stout novels, so they will fit right in. And I will also try to find a copy of Whodunit by Keating. I have lots of mystery reference books and that would be a great addition. 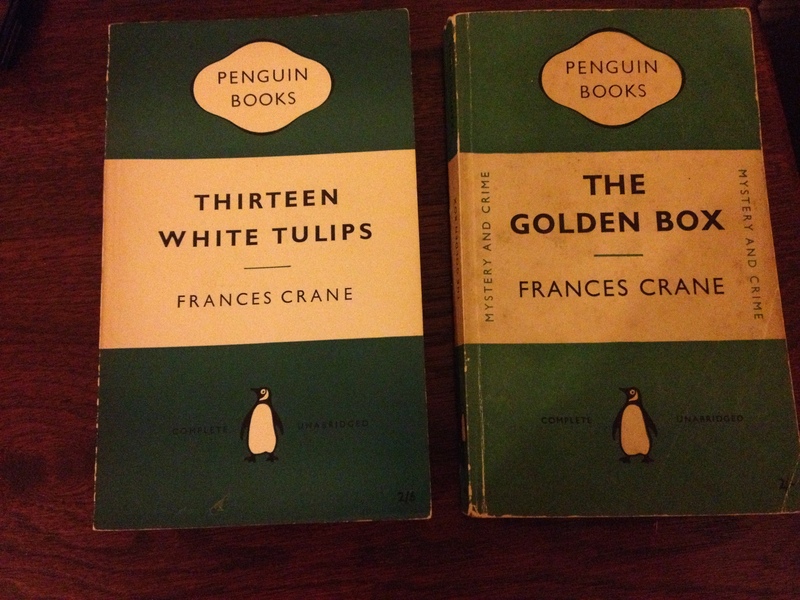 I like the vintage covers too Tracy and sometimes I end up with 2 copies of the same book (1 penguin classic and 1 other) if I find a cover I like. That’s the joy of the blogosphere – discovering an author with a serious back catalogue who you’ve never heard of! Thanks for these reviews, Sarah. I’ll keep an eye out for them. Great – and I’ll be interested to hear what you think. I’m probably (definitely) odd but I’d prefer the classic penguin covers to the lurid ones – I have always disliked those lurid pulp-style covers featuring large-breasted women in peril. Well they’re very stylised aren’t they Bernadette and completely not in keeping with the style of the story. I suppose they’re a relic from another era. Fascinating! I really must go get the Keating book – sounds just like my thing (I have read the Julian Symons book *Bloody Murder* on crime fiction and that gave me lots of lovely suggestions for older crime fiction). The Pink Umbrella cover made me giggle too – thank you! I’d definitely recommend the Keating Vicki. And unlike many reference books, you could read it from beginning to end if you wanted. Lovely to discover this blog. I inherited all my parents’ books and have a Frances Crane on my shelves. I started with Ngaio Marsh, Rex Stout (have them all) and John Dickson Carr/Carter Dickson at nine years old. No surprise then, that I now write crime! Hi Lesley – thanks for stopping by and commenting. I have heard so much about Rex Stout who I haven’t read yet. I’ll head over to your website to check it out. So glad you mentioned the Keating book Sarah – I have it too, and it is a treasured favourite. I read the Golden Box long ago, but can’t remember much about it. I’ll take a look and see if it is still on my shelves. I thought of you when I was reading this author and writing this post. ‘Thirteen White Tulips’ is ideal for your website Moira. Right, I’m off to find it! Thanks!